Welcome to WOUB Digital, the online home for WOUB Public Media. This website is the home of our best content, including news, sports, culture and entertainment. We offer stories, photos, audio and video streams, and other special features. A non-academic unit of Ohio University’s Scripps College of Communication, WOUB is also home to public television and radio stations, and production services. You’ll find us covering local news stories, shooting video on the sidelines of area sports events, and hosting local radio shows. WOUB-TV serves 55 counties in four states – Ohio, West Virginia, Pennsylvania and Kentucky. The PBS affiliate operates 24 hours a day to serve the region with multiple digital broadcast channels of news and educational programming. To find out what channel WOUB appears on cable/satellite, contact your provider. WOUB Radio’s FM Network serves three states – Ohio, West Virginia and Kentucky – from transmitters in Athens, Chillicothe, Ironton, Zanesville and Cambridge. You can hear the latest news and conversation from NPR, great local and national cultural and entertainment programs, and locally-produced music of Americana, Alternative/Indie and Bluegrass music. WOUB-AM serves the immediate Athens area with a variety of talk, sports and music programs not heard on FM. 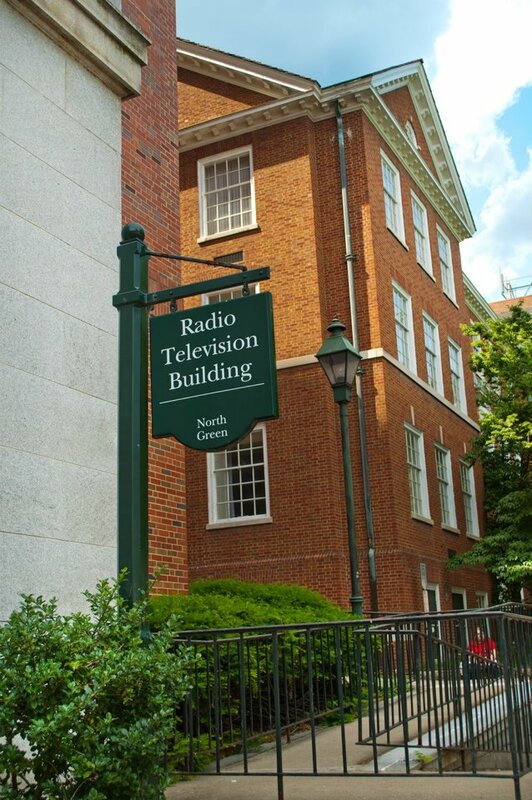 Both stations broadcast 24 hours a day and stream online at woub.org. Listen to the WOUB Radio network on 91.3 Athens; 89.1 Cambridge; 89.1 Ironton; 91.9 Chillicothe; and 90.1 Zanesville. One of the things we’re most proud of is our work with Ohio University students. More than 200 students work with WOUB each year, writing and producing stories, feature reports and live broadcasts. Much of the content you’ll read and experience here is produced by our students. WOUB and Ohio University alumnni are working across the country and around the world as journalists and media professionals who got their start at WOUB. Working side-by-side with WOUB’s professional staff, these students get their first real world media experiences here. We’d love to get your feedback on the website and answer any questions you might have about WOUB and our services. Email us: woub@woub.org. Call us: 800-825-1771. Tweet: @woub. Or visit our Facebook page. If you’d like more information about our student professional development program, contact Mike Rodriguez at rodrigum@ohio.edu or 740-593-4788.